In the Group Management tab, you can easily rename a group in the list. 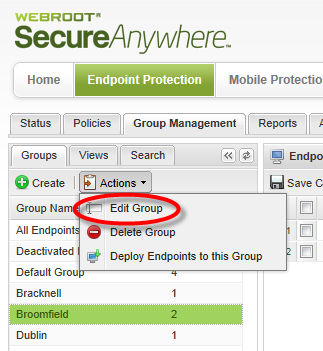 The endpoints remain in that renamed group; you do not need to move them. 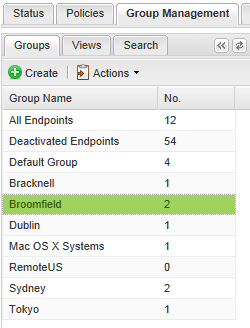 From the Endpoint console, click the Group Management tab. From the left panel, select the group you want to rename. From the Actions menu, select Edit Group. The Edit Group window displays. In the Group Name field, enter a new name for the group.